The report titled “South Africa Car Rental and Leasing Market Projections to 2023 – By Business Model (Self Drive, Cab Aggregator, Car Leasing, Minibus Taxi, Metered Taxi and Airport Transfers) and By End User (Mining, Logistic & Courier and Others)” provides a comprehensive analysis on the Car Rental and Leasing and Cab Aggregator industry of South Africa. The report covers introduction on South Africa Car Rental and Leasing market, business model of car rental and leasing companies, market size by revenue (2013-2018), market segmentation on the basis of region, type of booking, type of end user, competitive landscape in the industry, shares and company profiles of major players in the market, future outlook for the market (2018-2023) including estimated market size in terms of revenue, market segmentation on the basis of region and type of booking, issues and challenges and growth drivers for the market. The report also includes an introduction on South Africa Cab Aggregator market, business model, market size by revenue (2014-2018), market segmentation on the basis of region, competitive landscape in the industry, shares and company profiles of major players in the market, future outlook for the market (2018-2023) including estimated market size in terms of revenue and regulatory norms in South Africa taxi market. There are snapshots on the Minibus Taxi Market, Metered Taxi Market and Airport Transfers in South Africa. 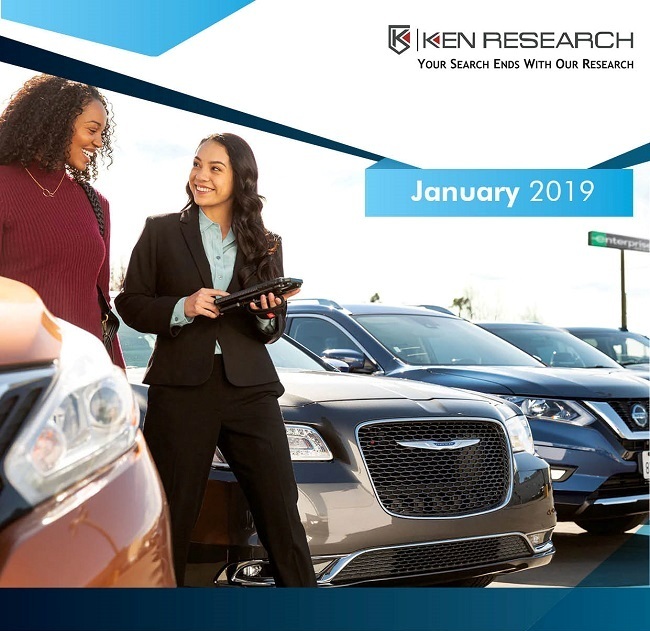 The report is useful for car rental and leasing companies and cab aggregator companies along with venture capital funds and investors in automobile and transportation sector to align their market centric strategies according to ongoing and expected trends in the future. South Africa Car Rental and Leasing market augmented positively from 2013 to 2018 at a positive CAGR during the review period 2013-2018. The car rental and leasing market was largely dominated by foreign companies operating in the country including Avis, Hertz, Budget and Europcar. Car rental and leasing market in South Africa was driven by business car rental due to consistent bookings from corporate customers to attend events such as exhibitions, conferences, workshops and meetings. Industry players also formed strategic partnerships with each other to boost sales. In 2018, Cape Town and Port Elizabeth are the major markets for car rental and leasing in the southern part of the country, being a major destination for business tourism and an employment hub in the country. Offline booking was the major source of bookings as compared to online bookings in South Africa car rental and leasing market. Direct booking through company website had the major market share within the online booking market for car rental and leasing while booking through intermediaries mainly including booking through third party websites such as CarFlexi, Economy Car Rentals, Kayak or by other travel agencies had a smaller share in the online booking market. In 2018, Logistics and Courier companies continued to be the largest end user for car rental and leasing market followed by Mining Company Executives. Other end users included Financial Institutions, Consultancy, Hospitality Industry and other industries. South Africa Car Rental and Leasing market is highly concentrated with the presence of 5 big players constituting majority of the market. Avis Budget Group Inc, Europcar Groupe SA, Hertz Corp, First Car Rental SA and Imperial Holdings Ltd are the major players in the market. Utilization of rental and leased vehicles for executing jobs in app based taxi market, increase in tourism in the country due to the roll-out programme for eVisas in South Africa and the low valuation of Rand, rising number of middle income families and the improving economic scenario are some key factors that are expected to drive the market. In 2013, online cab aggregators entered the South African transportation industry with the launch of Uber in Johannesburg. Thus, Uber became the first app-based online cab aggregator to operate in South Africa. Uber and Taxify are the major players in the market. Online cab aggregators have expanded the market beyond the existing market of traditional metered taxis. At numerous occasions, violence has erupted between metered taxi operators and online cab aggregator drivers in the country as the metered taxi operators accused the online cab aggregators of stealing business and competing unfairly due to low fares which could not be matched. In 2018, the major markets in Northern region in South Africa for online cab aggregators are Johannesburg and Pretoria. This is majorly due to the large populations in these cities. South Africa Cab Aggregator market is highly concentrated with the presence of two big players constituting majority of the market. Uber was the market leader followed by Taxify. The major players are competing in the market on the basis of price, commission charged, ease of availability, waiting time for customers, training of drivers, value added services offered, app design and user interface and promotional activities and offers. The market size of the online cab aggregator market is expected to augment at a positive CAGR for the period 2018- 2023. The huge drop in the growth rate is expected as even though the online cabs have been expanding at a tremendous rate till now, they are expected to reach a saturation point in the near future. Their growth will also be restricted by the low paying capacity of most of the people in the country. In the long run, it is expected that market will be largely dominated by two or three players only. The number of rides is expected to register constant growth as companies expand their presence to more cities. The online cab aggregator companies may also introduce the concept of share rides in the country, which is already functional in more developed markets around the globe. South Africa Car Rental and Leasing Market Future Outlook (2018-2023) Including Estimated Market Size in Terms of Revenue, Market Segmentation on the Basis of Region and Type of Booking.